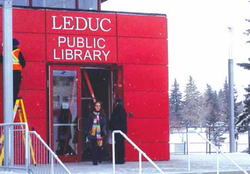 Feb. 4, 2015 3:00 p.m.
Leduc’s new library opened its doors on Monday, February 2, 2015 to a multitude of patrons wanting to see the facility. Parents with young children took full advantage of the new, bright children’s section. Others were impressed by the open feeling the new building presents with its floor to ceiling windows, an impressive reading area, which includes a fireplace, and the areas that display various works of art. The library also has two meeting rooms, the Karl Martin Room named after Leduc’s first librarian and the Friends of Leduc Library Room named after the organization that has support the library over the pass thirty years. Patrons will be impressed by the use of technology in returning and checking out books, which has been streamlined reducing the waiting time for these procedures. The high ceiling absorbs sound and produces an almost cathedral like feeling when entering the library, which is only increased by the spacious open areas. 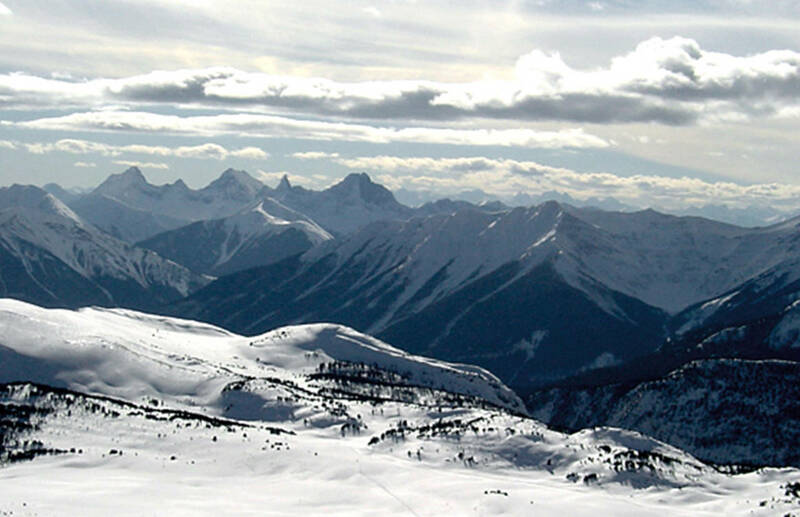 The Library’s mission statement of providing a service that connects citizens to the widest range of ideas, information, and materials has been greatly enhanced. Pictured: Entrance to the new library. Photo by Tom Dirsa.